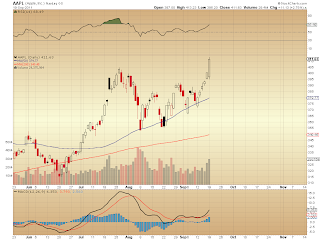 Some of you may have noticed that Apple made a new ATH today. I was curious if this development should challenge those who believe we are starting a new bear market -- so I went back and looked at some charts. 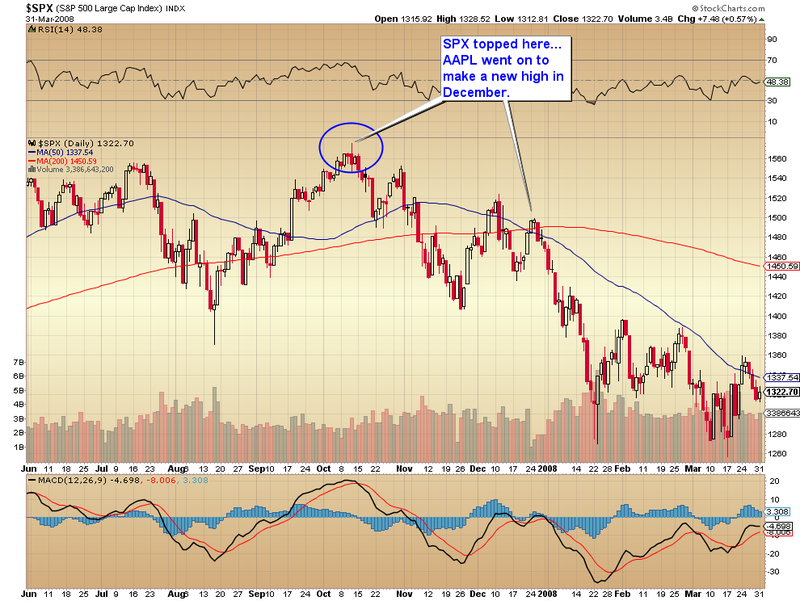 In 2007, the SPX made its ATH in early October, however Apple still went on to make a new ATH in late December -- two and a half months after the bear market had already started in the broad indices. 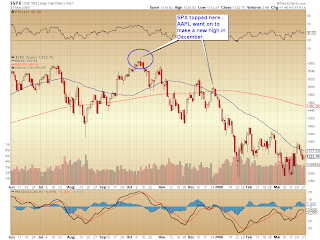 The other thing I discovered is that Apple is tracing out a completely different wave count (see chart) than the SPX -- or any of the major averages for that matter. 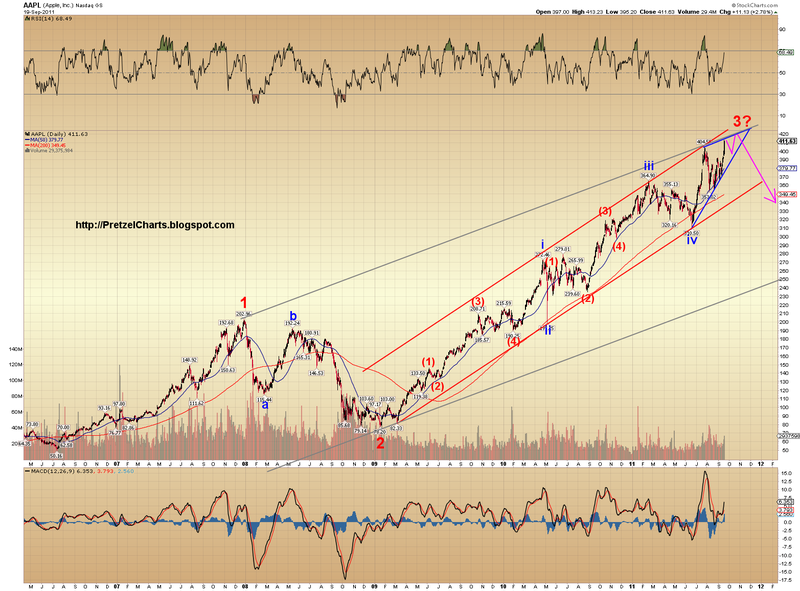 Apple appears to be in the process of completing a 3rd wave up, which likely means that it will hold up considerably better than the SPX, etc., during any coming declines. Apple appears to still be in the process of completing a third wave up at Primary degree. 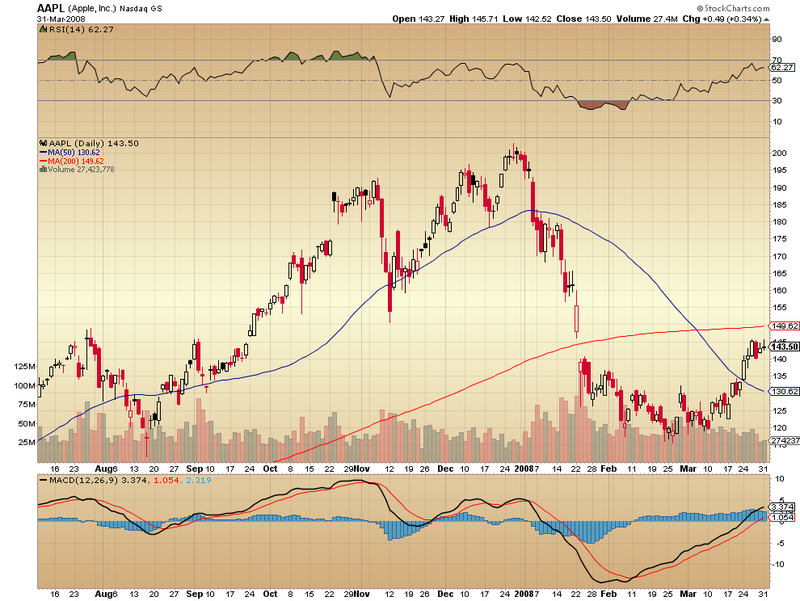 Thus, when Apple corrects lower, it should be correcting in a Primary fourth down. 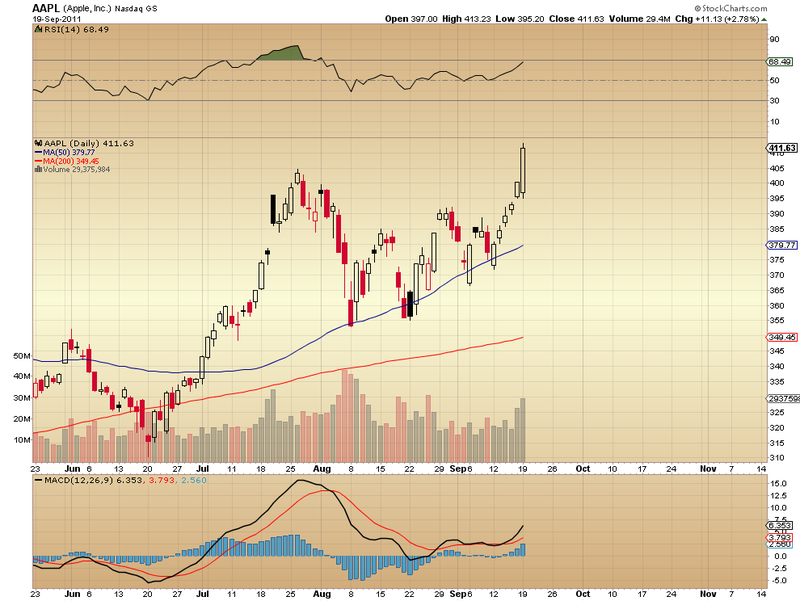 What this means, price wise, is that Apple should not fall below its Primary first wave high of 202.96. It could theoretically still take a 50% haircut from here, although that's drastic for a fourth wave down. 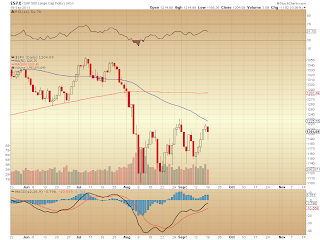 It would be more likely for it to take aim at the bottom of the gray trend channel. 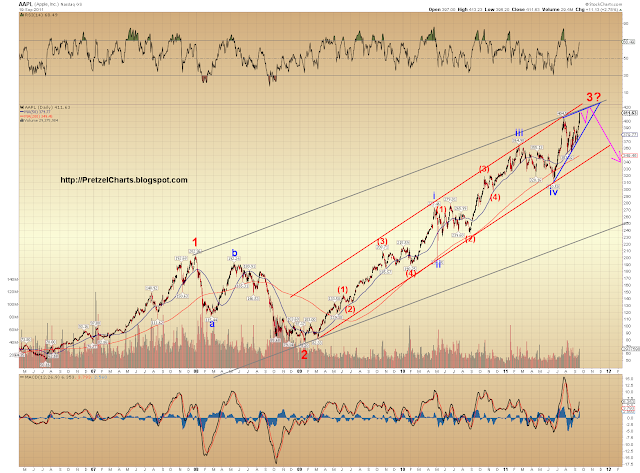 It should ultimately make a three-wave move down toward the 250-280 range. 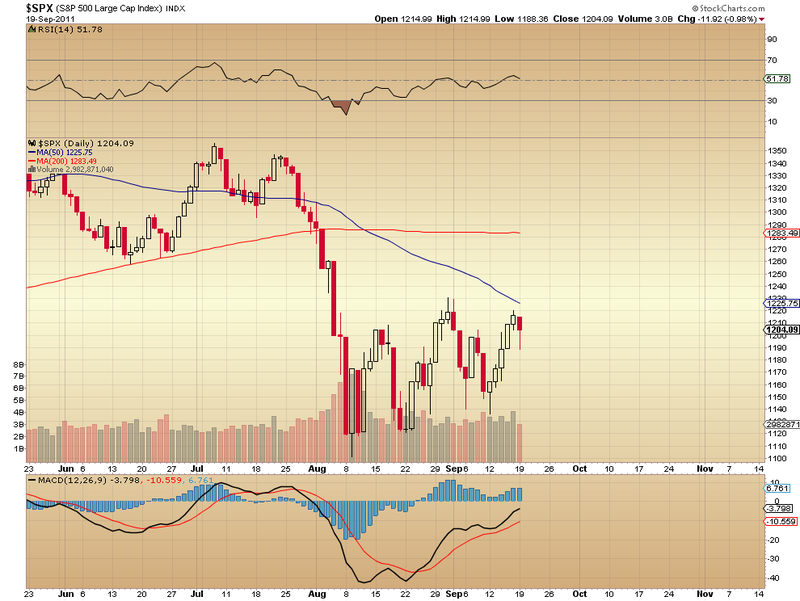 This is still a healthy adjustment, but not what I anticipate for the SPX. 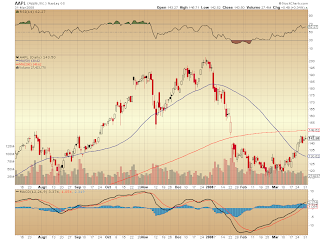 It also means that after any bear move is over, Apple should then go on to make even higher highs in a Primary fifth wave up... in other words, on any significant decline, going long Apple will probably be a great play.